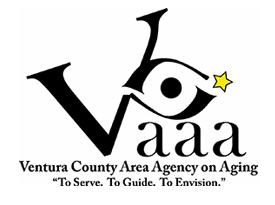 The purpose of the VCAAA Senior Charter is to bring together seniors, families and caregivers, business community, policy makers, social service providers and public and private agencies to advocate for improving and/or maintaining the quality of living of Ventura County Seniors. The guiding principles of the Charter are based on the congressional intent of the Older Americans Act, which honors the inherent dignity of the individual. 1) Adequate resources to cover the basic needs of retirement. 2) Accessible and affordable health care (including mental health, fall prevention and fitness resources, healthy foods and quality rehabilitative and end-of-life care). 3) Suitable housing designed and located to meet a variety of senior housing opportunities, including institutional care and affordable housing; planning housing for the long-term needs of an aging society, including universal design and aging in place; and senior representation on planning and design review committees in every city. 4) Access to quality and convenient low-cost transportation – public and private transportation choices for seniors and disabled riders, including advocating for funding for senior transportation; providing a “third tier” of public transit for those unable to access paratransit; providing time-competitive public transportation (trains, HOV lanes); and efficient user-based coordinated regional public transit. 5) Opportunities for civic engagement, including cultural, education and training and recreational and volunteer opportunities. 7) Efficient community services with emphasis on maintaining a community-based continuum of care for the vulnerable elderly. 8) Family caregivers will have access to resources and services to ease the emotional and physical strains of caregiving and to support them in their efforts to care for their loved ones.